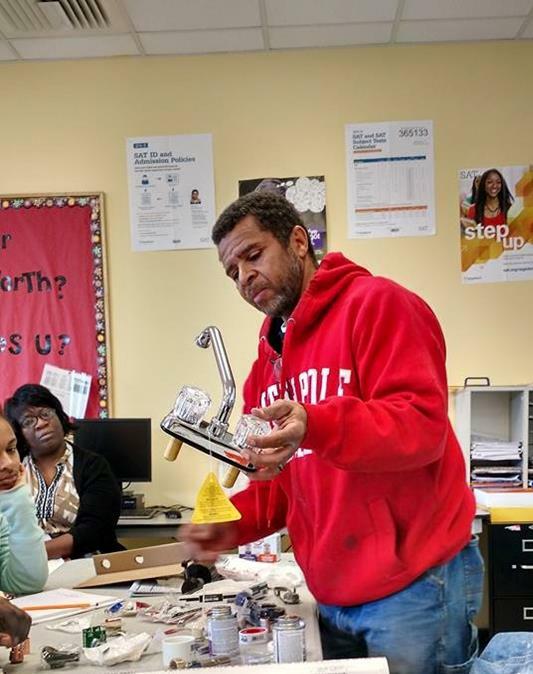 Tarrell Mock, founder of MICA, instructs students in plumbing repair. Tarrell Mock is making a difference in his neighborhood and in the Central Ohio construction industry. The general contractor is using his time and skills to train young people in the various construction trades. Mock is the founder of MICA, Minority and Independent Construction Alliance. MICA’s training course provides students with an opportunity to explore the many different areas in construction that relate to home maintenance and commercial repair. Students develop advanced problem-solving skills as they relate to home repair and essential life skills that will help make them self-reliant in maintaining or updating a residential structure. Students will also learn hands on by performing many different home repair procedures and techniques including: plumbing, electrical, flooring, framing, windows and doors.